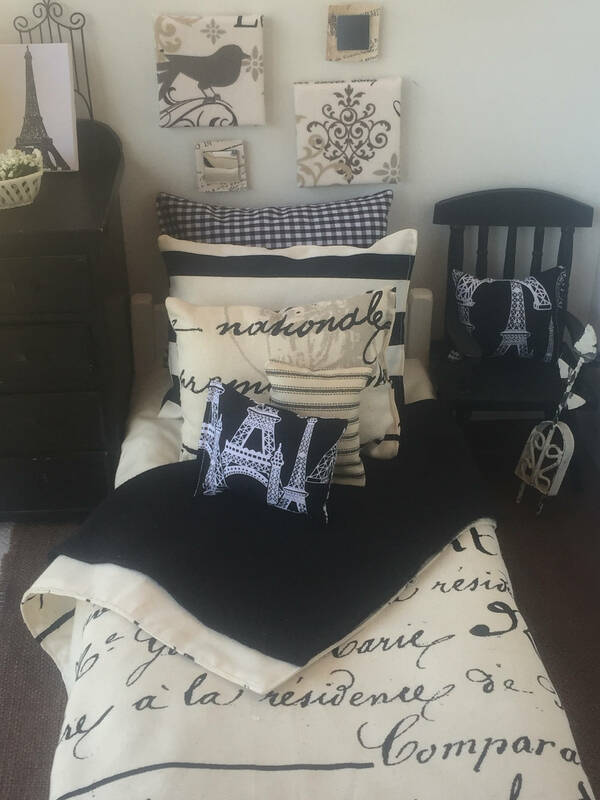 I love all things French. I don’t always get to do this style of pattern. 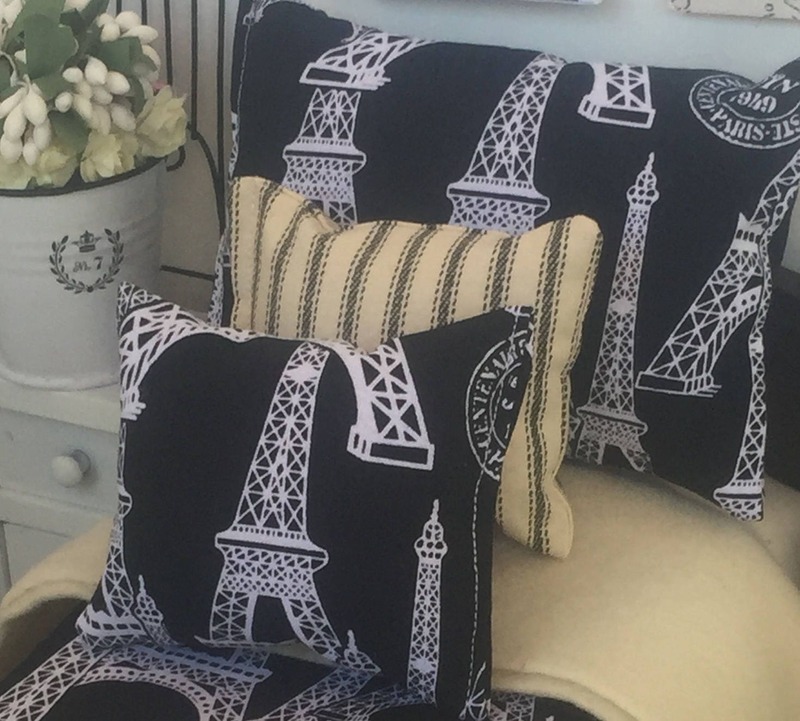 This isn’t my normal thing to do so I love it when I have the chance to create French Country and French Style. This project is very special to me. I’d love for you to make these items and then share the photos with me. I’m happy to take the best of the best and share them on my blog so that others will see all the French loving seamstresses and tailors we have in the doll and miniature community and what they can do. Use the fabric of your choice and embellish, add bling, decorate it just so and then email me and let me see your creations. I will highlight several on my social media channels- Pinterest, Instagram, Tumblr, and Facebook. 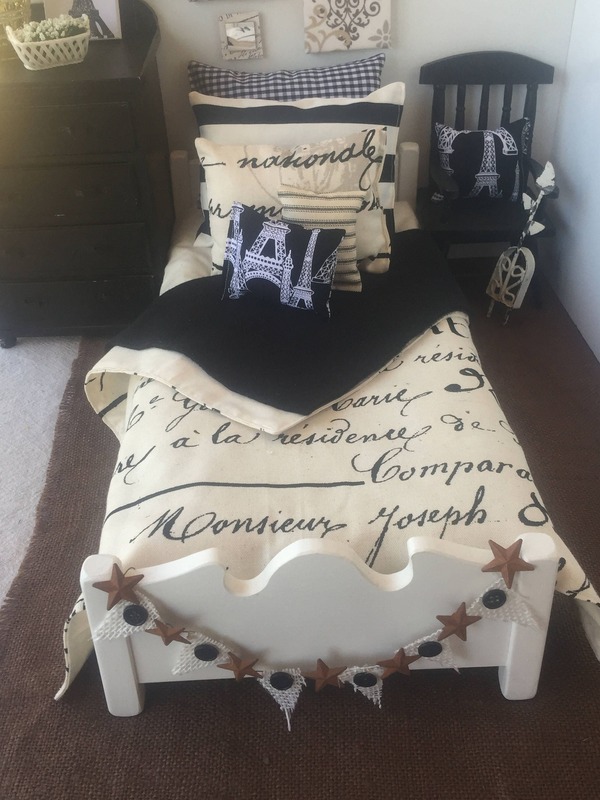 I wanted to share with you several things that I do to make a doll bed look pretty when made up. 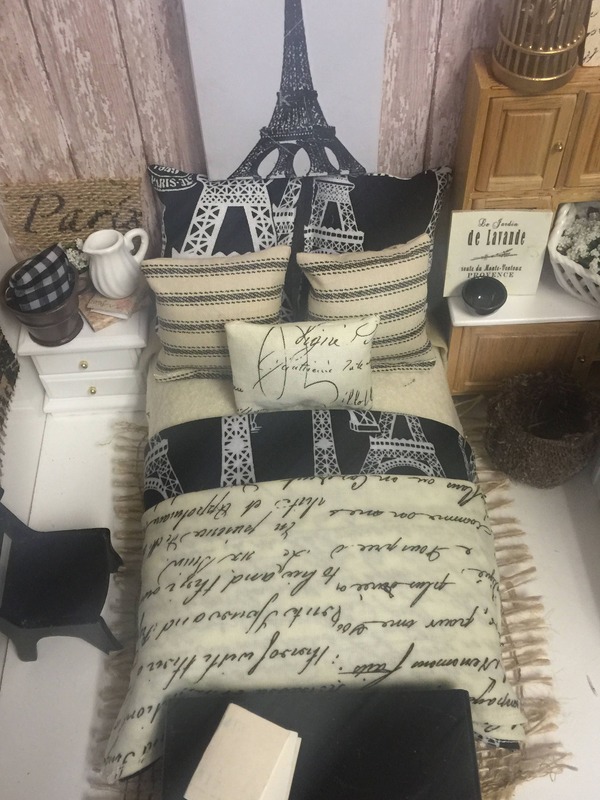 What actually got me started making doll bedding of all sizes professionally, was noticing a doll bed at a friends house with the UGLIEST bedspread I’d ever seen on it. I asked about it, and the comment was “oh I just used some leftover fabric to make that”. That fabric should have been tossed in the waste basket. I was already making baby quilts, large regular sized bedding for my own home, and I thought I’m going to make doll bedding that uses pretty fabric. 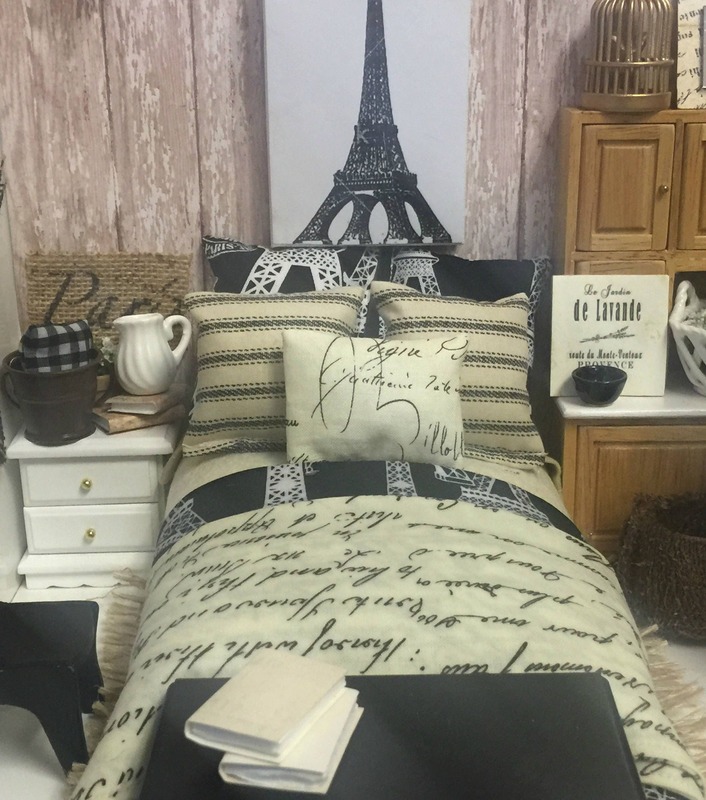 I began selling it, and couldn’t keep the bedding in stock it sold out so fast. I began making and selling patterns so that anyone could make my designs but use the fabric that would coordinate with their child’s room. My patterns are easy, but use pretty fabric so that the end result makes everyone happy. If something is going to be made and sewn, it should be pretty. Period! Be sure to read all my tips and tricks at the end of this pattern for making a “Lovely and Delightful” doll bed! I have over 50 patterns that are for the home, the doll, the dollhouse, the doll bed and more in PDF downloadable version. The directions and pictures are simple to follow. Even a beginner seamstress can make most all of my patterns! The key is to always use pretty fabric.This Ebook/Pattern is one of my best works so far. It includes directions and guidelines with photos, how to make doll bedding for 3 sizes of doll beds. Miniature Dollhouse size- beds are usually 6" to 7" in length, and I give measurements and how to accommodate and make the bedding for this little bed. Barbie sized bed is 11" long, and the bedding patterns are to make the bedding a bit longer so they can be folded back and show off the sheets. American Girl Doll sized bedding is bedding to fit an 18" long doll bed. 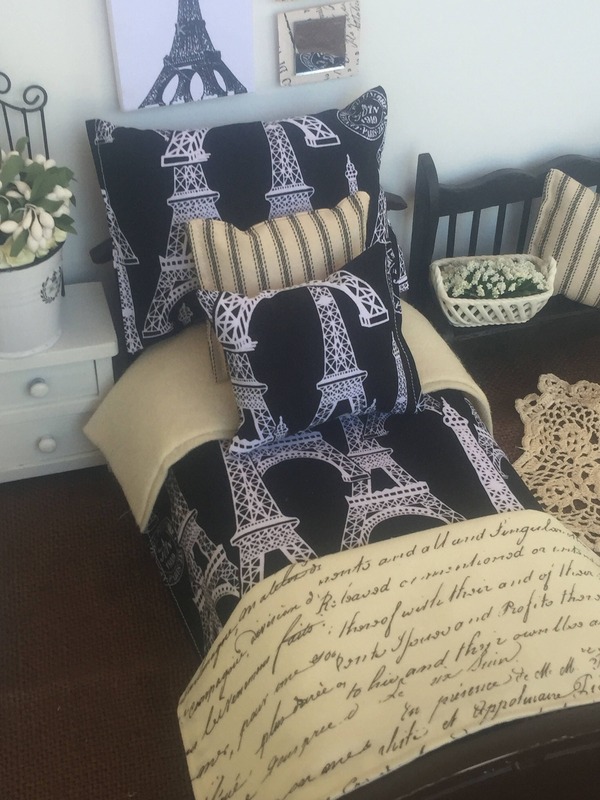 The pattern consists of a reversible comforter, accent pillows, pillow sham. 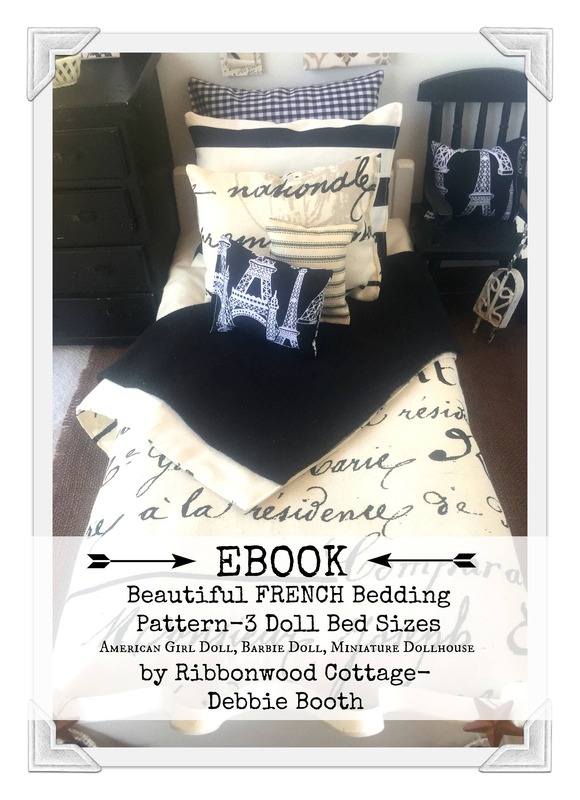 Pattern includes pictures and directions for making comforter, matching pillow sham, flat sheet, blanket and accent pillows. Pattern includes directions and pictures for all three sizes.